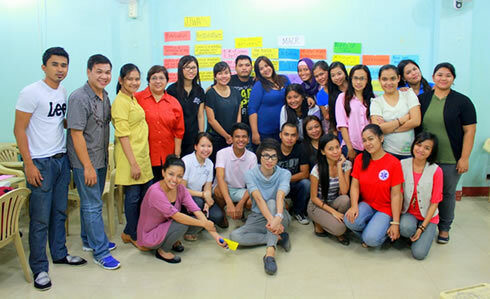 WMSU law students together with The Ateneo Human Rights Center organizers and facilitators during the photo op. 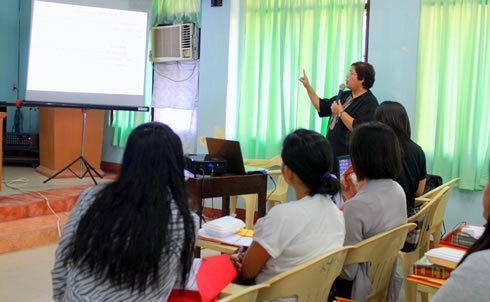 The Ateneo Human Rights Center (AHRC) of the Ateneo de Manila University, in partnership with the United Nations High Commissioner for Refugees (UNHCR) The UN Refugee Agency held a two-day Basic Orientation Seminar at the College of Law’s Moot Cort of the Western Mindanao State University (WMSU) on December 3 to 4. The orientation-seminar covered vital and significant topics given by the volunteers of the AHRC, an Alternative Lawyering group comprised of law students and professors. Selected WMSU law students comprising of freshmen and sophomore attended the seminar. The main objectives of the seminar are to raise awareness among the participants on the current issues regarding the socio-political situation not only in the country but on the international level as well; equip the participants with the essential knowledge and skills needed in establishing a university-based legal aid clinic; and encourage the participants to engage in alternative lawyering and free legal aid to the less privileged. Atty. Ampy Sta. Maria rendered a talk on the Introduction to International Human Rights Law and International Humanitarian Law. The lecture gave light to the status of human rights law in an international scope, magnifying how different states or countries value international human rights standards specifically on its implementation, enforcement and pitfalls. Atty. Ampy Sta. Maria of ADMU’s The Ateneo Human Rights Center talks about Introduction to International Human Rights Law and International Humanitarian Law to WMSU law students. Anmau Manigbas and Jaymie Reyes, ADMU law students and AHRC volunteers as well talked about Refugee Convention & Convention on Statelessness. The topic relates to the status of stateless persons, their conditions and other critical issues which sought to be addressed. Laws pertaining to the protection and rights of this vulnerable group were also discussed. Another topic tackled was the International Displacement/Vulnerability of Women and Children in Internal Displacement by Atty. Ampy Sta. Maria. It focused mainly on trafficking and gender violence of women and children in wars, evacuations and in other similarly situated scenarios. Atty. Klarise Estorninos discussed about the Convention on the Rights of the Child and Gender and Child Sensitivity in Client Interviews. The topics were effectively understood by the participants thru interactive activities like mock legal counseling and workshop. WMSU law students responded to a simulated situation in which a client sought legal advice in relation to the aforementioned topic.